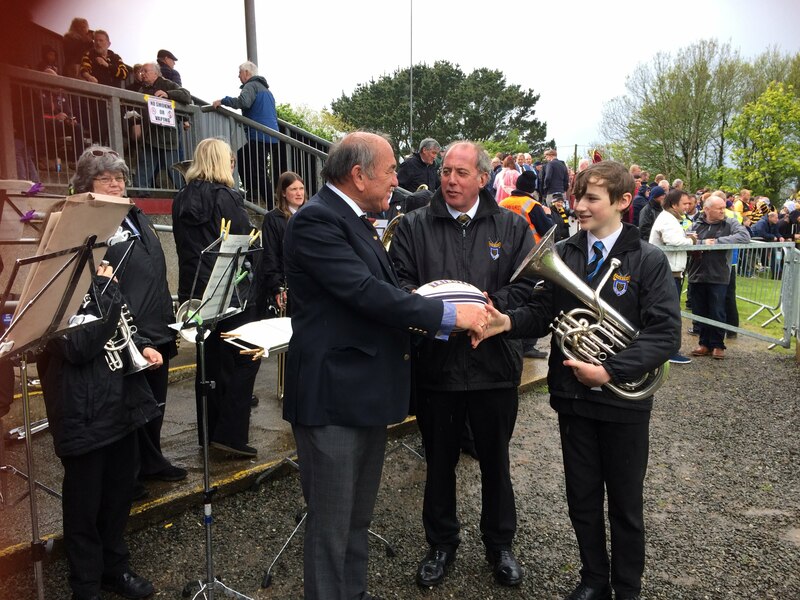 Fantastic today (Saturday 12 May) to see Camborne RFC president Terry Williams present a rugby ball signed by Cornwall and Devon teams to Camborne Youth Band. The Band will take it back to the Western Front 100 years after three historic matches were played there between Cornwall and Devon teams after Camborne Rugby Club sent out a ball. Corey Williams (pictured) right is in the Band now and is the great great grandson of Fred Negus, one of the men who played in 1915. 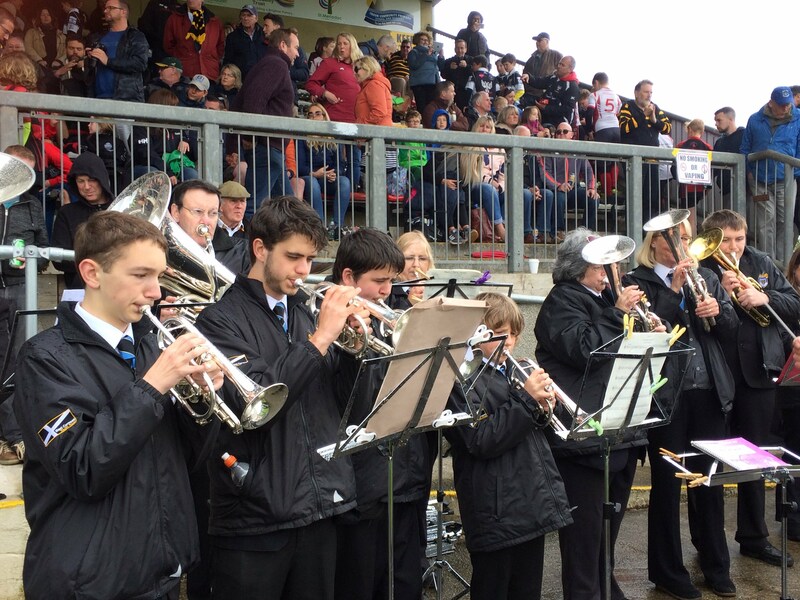 The Youth Band will be travelling to France and Belgium in August and will take the rugby ball back to Estaires, where Cornishmen from Dolcoath Mine were stationed. Cornwall were playing Devon today at Camborne. The match was close – but Devon pulled off a 20-19 point victory.